Inspiration FM 111 mono amplifiers Phono Linearizer - FM ACOUSTICS LTD.
"This is absolutely great! The time is just right" remarked a loyal customer when introduced to Sound Chamber's new dedicated FM ACOUSTICS room. Ideally located right off Queen's Road in Central, Sound Chamber has been the loyal representative of FM ACOUSTICS for 20 years. 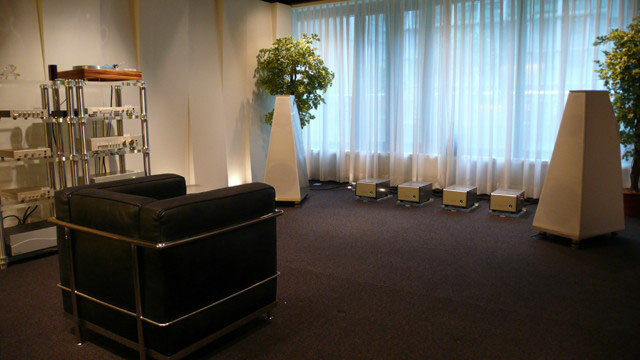 With the new room - specifically created for FM ACOUSTICS' products - demonstration facilities are optimized. The living room-like environment is similar to a home setting so one is able to concentrate on the music. "A music system has to be able to adjust to the environment it is placed in, not vice versa" is the sensible credo - of which this room is a perfect example. It is a fact that most living rooms have windows and the acoustical properties of glass are poor indeed, so most systems are unable to give a decent presentation in such rooms. But it does not have to be this way: here, the room has glass walls on opposing sides (behind the speaker and behind the listener). This is visually attractive but acoustically pretty much the worst case. Usual music systems sound rather disappointing in such an environment. 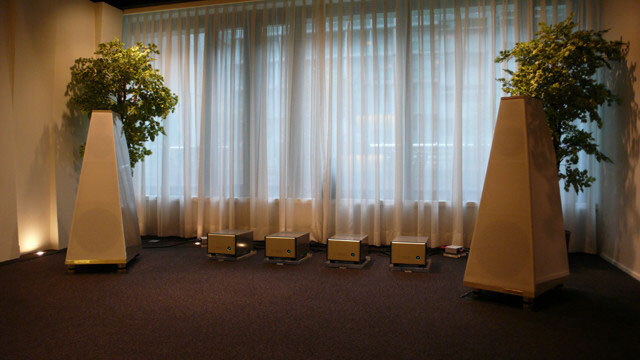 The Inspiration Systems are ideal in such surroundings. Sound Chamber's owner Kenneth Chan tuned the XS-III system to the room perfectly. 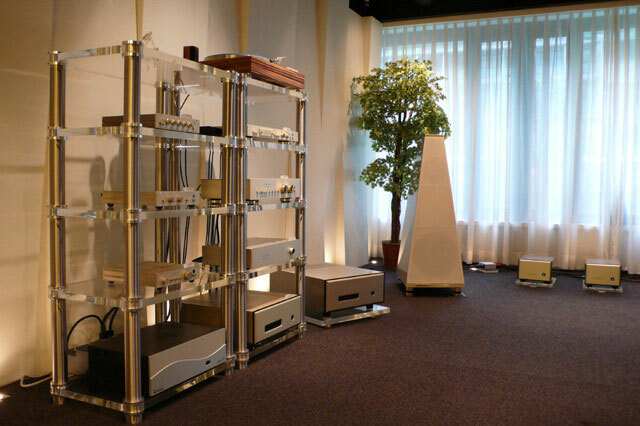 Here the active system is powered by four FM 111 mono amplifiers driven by an FM 266-MKII line stage. Audio signals are supplied from an analogue front end using the new FM 222-MKIII Phono Linearizer. Further sources are connected as per the client's requirements. Other units of FM ACOUSTICS fame are ready to be connected: from the FM 122-MKII to the amazing Harmonic Linearizers, a wide range of equipment is ready to be demonstrated to music aficionados. Reactions to the system have been unanimous: "That this reproduction is possible from such an unobtrusive system and furthermore in this room is almost unbelievable" exclaims one listener. When auditioning a familiar recording, a visiting reviewer expressed utter astonishment about the quality: "this recording is over forty years old and I use it regularly for testing but never have I heard such detail and life-like realism. It is phenomenal how all of this holographic transparency is reproduced. This is a unique system." "The Inspiration System is the only system capable of transforming your listening room into a live event, where illusion transcends reality".